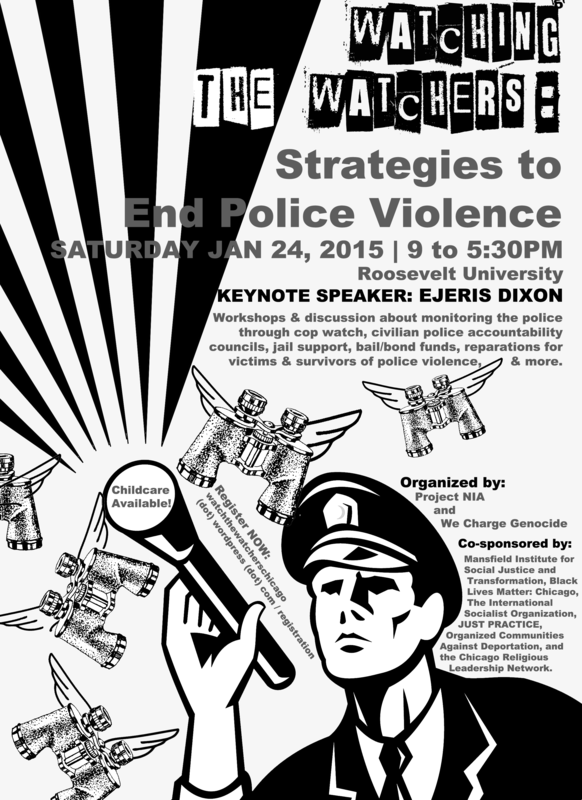 We Charge Genocide is excited to sponsor Watching the Watchers: Strategies to Resist Police Violence, a conference happening Saturday January 24th in Chicago. Check out the full list of 15 conference workshops and information about our keynote. This event is a chance to dig in more deeply into the ideas, tools, and resources we already have as a community- and the social movements we are inspired by. A few workshops we are excited about with links to more information about that topic if you want to dig in. This workshop will take the form of a panel discussion, highlighting the activism occurring in Chicago fueled by radical youth groups. Organizers from BYP100, We Charge Genocide, and Let Us Breathe Collective will be featured. 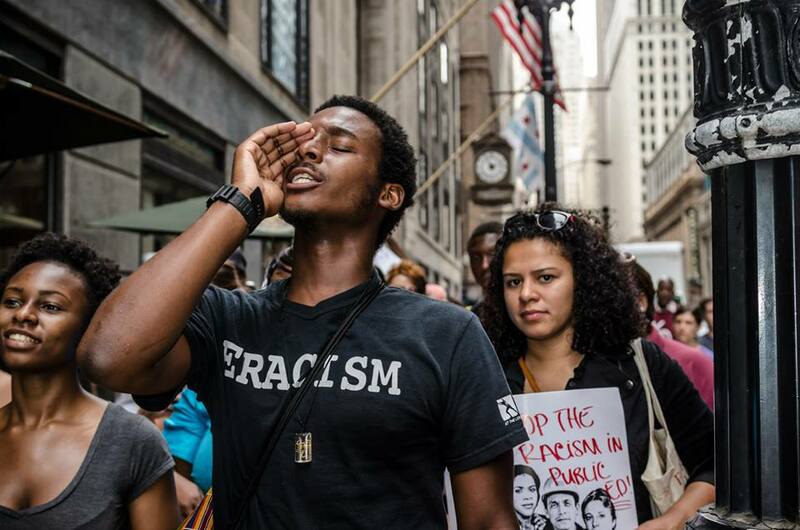 Photos from BYP100 die-in at City Hall and Let Us Breath Collective’s Brown Friday action. Video explaining the We Charge Genocide name. For national perspective, the documentary Precious Knowledge about youth organizing in Tucson, AZ, the On Blast! podcast from youth organizers in Philadelphia, PA, Lost Voices from Ferguson, MO, and Dream Defenders. Aurora Levins Morales essay “The Politics of Childhood” from Medicine Stories History, Culture, and the Politics of Integrity. 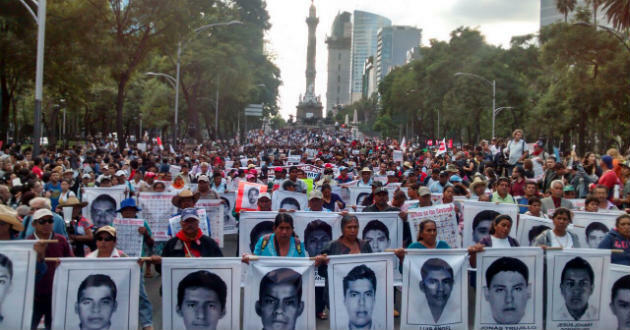 This workshop will build connections between state violence in Chicago, the use of police and military to repress and murder Mexicans against the neoliberal project, and the disappearance of 43 in Ayotzinapa. This workshop will take the form of a panel discussion, emphasizing the barriers around bail funds, and creating alternatives that will endure in Chicago. 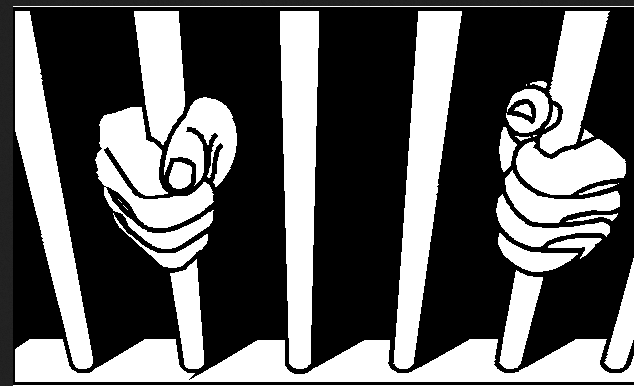 Check out New Yorks Charitable Bail Act, passed in 2012. It offers foresight of potential here in Chicago. NPR article and audio about barriers of bail funds. This workshop will give participants an introduction in how the education system, police, family units, supportive services, and other institutions work to oppress people with disabilities — and how we can recognize and organize around the intersection of disability and race. Empowered Fe Fes and Advance Youth Leadership Power organizing groups associated with Access Living. Disability Incarcerated essays on how institutions like psychiatric hospitals, special education, detention centers, and group homes are related to incarceration. 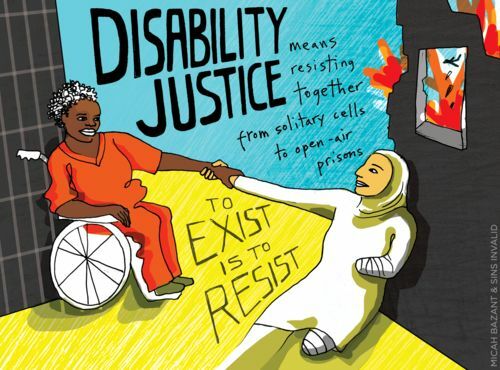 Disability Justice is… image from Sins Invalid and Micah Bazant. Again, you can read more about allllll the workshops online. See you at the conference or online at #wewatch.